Rock & Metal 4 You: Album/Song of the year 2012 - # 02! Number 2: DYNAZTY - "Sultans Of Sin"
Dynazty released three albums so far. I missed the first two, but I'm really happy that their third release found its way in my CD-player. What an amazing album! "Sultans Of Sin" offers all the things you want to hear on a real hard rock record: a punchy in-your-face-production, crunchy guitars, strong songwriting with tons of hooks and remarkable vocals! Dynazty don't present something new here, but nevertheless everything feels fresh. You can hear the energy and the joy of playing at each track. I still can't get this album out of my player ... and I bought that one already in February. Sadly it's a bit short with just 10 tracks on it, but they are all killers. If you don't know this band please check them out! Dynazty deserve it to be on top of every "must-buy"-list! 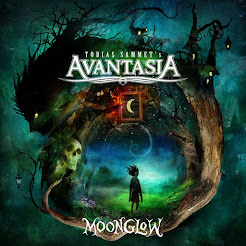 Number 2: SONATA ARCTICA - "Alone In Heaven"
Ready for some epic piece of music? Then have a look at this song. It's a real hymn with amazing arrangements and beautiful lyrics. A great Melodic Metal track. Check it out! Come back tomorrow to see who made it on top of my list in 2012! Hi! I am very interested in one thing, of course if I'm not asking too much could you please tell us the place where you spent your childhood?